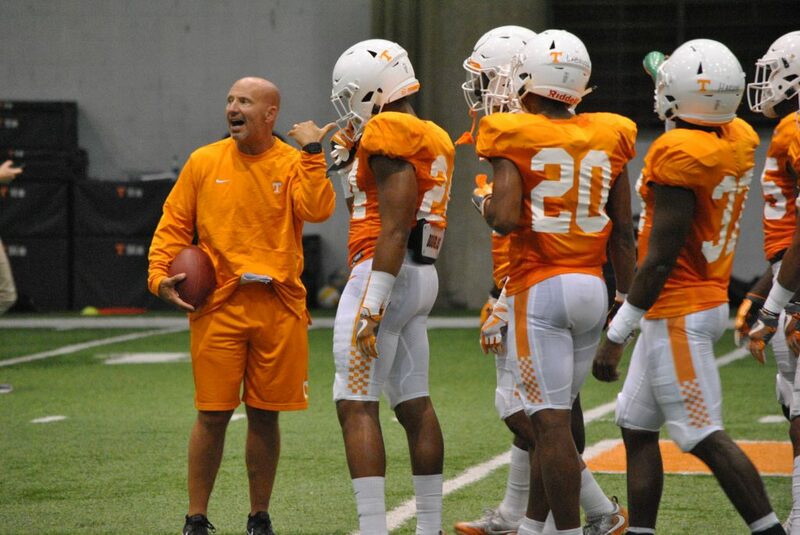 According to a report from FootballScoop, Tennessee safeties and special teams coach Charles Kelly has been offered the defensive coordinator position at Maryland by head coach Mike Locksley. “We are told Maryland expects Kelly to accept the position and a deal could be in place as early as this evening,” FootballScoop reported. It’s not too big of a surprise that Kelly is reportedly leaving for Maryland. Tennessee hired Tee Martin on Monday, becoming the 11th member on staff despite only 10 coaches being allowed to be out on the road recruiting. In order to have Martin out on the recruiting trail, one of Tennessee’s assistants had to be moved to an off-the-field role or one had to accept another job. This season, Tennessee’s passing defense ranked eighth in the SEC and 60th nationally. The Vols allowed opponents to throw for 222.9 yards per game. Tennessee had nine interceptions as opposing quarterbacks completed 63 percent of their passes against the Volunteers’ secondary.